This iconic potato peeler came from a radical realisation about users. Photo by Andy Melton on Flickr. A selection of 11 links for you. J’accuse! I’m @charlesarthur on Twitter. Observations and links welcome. Sources at several news outlets say they’ve seen their audience on Apple News multiply in 2018 alone. Some now say it has become one of their top traffic sources, alongside Facebook and Google. 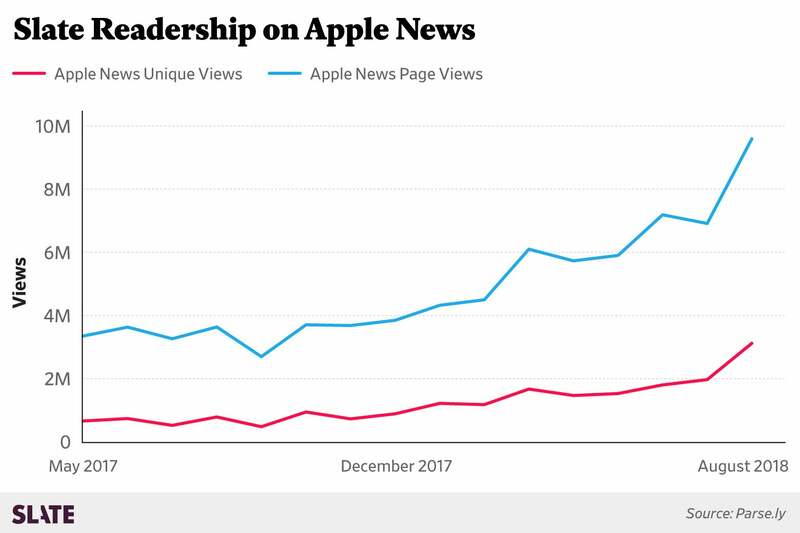 At Slate, which disclosed its data for this story, page views on Apple News have roughly tripled since September 2017, and the app recently surpassed Facebook as a driver of readership. ANGWIN: …We have an idea about how journalism should be. It’s much more tech-focused than any newsroom, even though ProPublica is the most tech-infused newsroom out there. We want to take it to another level. SCHMIDT: What is that next level? What are the nuts and bolts of how this organization will operate differently? It doesn’t have to be ‘he said, she said.’ It’s more about: this is the amount of evidence to support this hypothesis, and then here are the limitations of this. There are always limitations to our findings. Even though climate change is well accepted scientifically, there are limitations for those findings as well. That’s our goal, to try to frame our journalism around that. What that means in practice is having people with technical and statistical skills involved in an investigation from the outset. So much of what happens in traditional newsrooms, in every newsroom I’ve ever worked in, is that there’s a data desk. A reporter goes over to the desk and basically orders data like it’s a hamburger. Usually by then, the reporter has already done the reporting and has a hypothesis based on the anecdotes. Then, if the data doesn’t support it, there’s a fight between them and the data desk. Or, more often, there’s not even data available. This sounds fantastic. (Not for everyone, of course.) Data journalism – where the story comes from the data – is enormously satisfying when it comes right. Some of my best stories have come from interpreting public documents: the story’s in there, you just have to listen to what the numbers are saying. [Farber] and his wife Betsey spent a month cooking and enjoying the French countryside. One night I’m in my office, it’s 7:30 p.m., and I get a call from Sam. He’s in France, where its 1:30. in the morning, and he’s incredibly excited. Here’s something he could do to help people, he thought. So he wanted me to get started on it immediately. He knew he had to do a full line of tools. 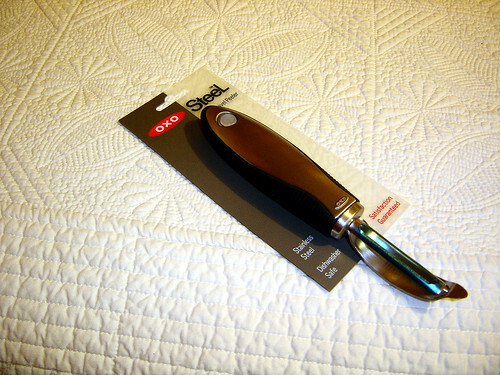 It couldn’t be just a peeler, it had to be 15 to 20 different tools so it could occupy enough wall space at retail to get attention. Large-handled grips seems so obvious in retrospect, but you need designers who are working with people who have arthritis for it to be obvious when it’s not there. There’s lots more fascinating detail in this piece. Very instructive about how Facebook has changed. WhatsApp founders requested a completely different office layout when their team moved on campus. Much larger desks and personal space, a policy of not speaking out loud in the space, and conference rooms made unavailable to fellow Facebookers nearby. This irritated people at Facebook, but Mark personally supported and defended it. Second — on encryption. The global roll-out of end-to-end encryption on WhatsApp happened after the acquisition, and with Mark’s full support. Yes, Jan Koum played a key role in convincing Mark of the importance of encryption, but from that point on, it was never questioned. I witnessed Mark defending it a number of internal meetings where there was pushback — never for advertising or data collection reasons but for concerns about safety — and even in Board Meetings. Mark’s view was that WhatsApp was a private messaging app, and encryption helped ensure that people’s messages were truly private. He also calls Acton “low-class” for attacking Facebook, “the company and people that made you a billionaire”. Also well worth reading: ex-purchased-by-Facebook-startup-person-who-exited Antonio Garcia Martinez weighs in with a Twitter thread about the differences between Acton and Marcus. Specifically, there were worries that Facebook’s moves were hurting the app’s growth — perhaps even intentionally — through some of the company’s product updates and marketing changes, these sources said. That included a throttling back of Instagram’s promotion inside the Facebook app, apparently ordered by Zuckerberg, that dropped weekly referrals significantly by hundreds of thousands of users. Systrom was also frustrated with a recent Facebook change to how posts are shared between the two apps. Previously, photos shared to Facebook via Instagram included a label identifying the photo as an Instagram photo, presumably to encourage people to visit or download Instagram. That label was recently removed, which made it appear as though people were posting those photos directly to Facebook and not to Facebook via Instagram. It was a small tweak, but it was a big deal inside of Instagram, according to multiple sources. Systrom — who has historically been hands-on with all the aspects of the app — disagreed with the decision, and even posted as much on the internal company Facebook page. The feeling of some was that Facebook wasn’t promoting Instagram, and even taking credit for engagement that Instagram was driving. This take makes a lot of sense. Systrom might have taken a lot, but feeling that his (joint) creation was being ignored, having done the hard work of seeing off Snapchat, must surely have rankled. Recent searches on Instagram, which is owned by Facebook, for hashtags of the names of drugs — such as #oxy, #percocet, #painkillers, #painpills, #oxycontin, #adderall and #painrelief — revealed thousands of posts by a mash-up of people grappling with addiction, those bragging about their party going lifestyle and enticements from drug dealers. in 2016, Shazam’s new foray into marketing was compelling enough to raise $30m in new funding from investors, giving the company a unicorn valuation of $1bn. The fact that Apple subsequently paid “only” $400m for it makes the deal sound like a bargain. Last year, Shazam made an additional step, embracing Augmented Reality. Now, rather that just taking users to a standard website, it could use its Shazam Codes (or visual recognition of products or posters) to launch an engaging experience right in the camera, layering what the camera sees with “augmented” graphics synced to the movement of the user’s device. Now users could identify a bottle of Bombay Sapphire gin and see it animate botanicals in front of them, while also suggesting cocktail recipes. Another Shazam campaign in Australia, for Disney’s “Guardians of the Galaxy 2,” delivered a Spotify playlist “mixtape” along with presenting the movie trailer and an opportunity to buy tickets. A campaign in Spain let users animate Fanta billboards in AR using their phones. And a Hornitos tequila app used a mini-game, rendered in ARKit, to award discounts on purchases. Given Apple’s interest in building traction for ARKit, which launched last fall as the world’s largest AR platform, it seems pretty clear that Apple bought Shazam, not really for any particular technology as Apple has already developed its own core visual recognition engine for iOS, but because Shazam has developed significant relationships with global brands to make use of AR as a way to engage with audiences. Hmm. The valuation for Shazam was always a bit dubious, though as he points out the $400m is (by Apple’s standards) a lot of money. If Apple really wants Shazam for its AR (and let’s face it, the purchase price wouldn’t make sense if it’s just on music recognition) then things got interesting. Quanta and Compal both declined to comment on its clients or orders. Some market watchers noted that Apple sold around 4.2 million Apple Watches worldwide in the second quarter of 2018 and the device’s global shipments are estimated to arrive at 18.0-19.5m units in 2018. Currently, the Apple Watch has a share of 35% in worldwide smartwatch shipments. I’d ignore the numbers in there (the “share” depends on who you ask, as does the total) and focus on the fact: Apple’s got one factory now making Watches at its full capacity, and it’s getting a second online. That means it expects to sell a very great many more in the coming months – which, given the larger screen and faster processor and better waterproofing, wouldn’t be a surprise. Remember how you didn’t see anyone wearing AirPods, and now you do? Going to be the same with the Watch. “We’ve heard — and appreciate — your feedback from the last few days, and we’ll be making some product changes,” tweeted Parisa Tabriz, a security team leader at Google. Google added in a blog post Tuesday evening that it will add new options and explanations for its interface and reverse one Chrome cookie-hoarding policy that undermined people’s attempts to clear those cookies. The situation shows the difficulties Google faces offering both the most widely used browser and one of the most powerful online advertising empires. Chrome is a powerful tool that lets websites gather the kind of personal information that makes it possible for advertisers to target ads for a particular audience. But Google operates some of the biggest online sites out there, and Chrome itself, if unfettered, has a view into our most private online activity. the more complicated challenge is that Walmart wants to track lettuce not only when it is in Walmart’s hands but also at every step of the supply chain: “By this time next year, more than 100 farms that supply Walmart with leafy green vegetables will be required to input detailed information” into the database. This is not a big technological problem—it’s just some more inputs to the database—but it is a logistical and contractual problem. Walmart has to get its suppliers to agree (and to get their suppliers to agree, etc.) to make inputs into the database, and teach them how to use it, and give them passwords, and check that they are inputting information correctly. Database design is an element of the solution here—you want to make the database easy to use and hard to mess up, and you want to give the suppliers access rights only to input data about their lettuce, while only Walmart (and IBM) has the complete view of the whole supply chain—but it is not necessarily the hardest part; the hard part is the social and commercial work of getting the farmers to agree to do a new annoying thing. If you are Walmart, though, I guess that part’s not so hard either: The farmers really want to sell to you, so they’ll jump through some hoops. Anyway it is all pretty interesting, as a case study in supply-chain management and database design, but I have to say that you don’t generally read a lot of stories about supply-chain management and database design in the New York Times. I can’t quite figure out why they were interested in this one. Can you? That’s right, it’s because it used the chainblock. Have I got the jargon right?